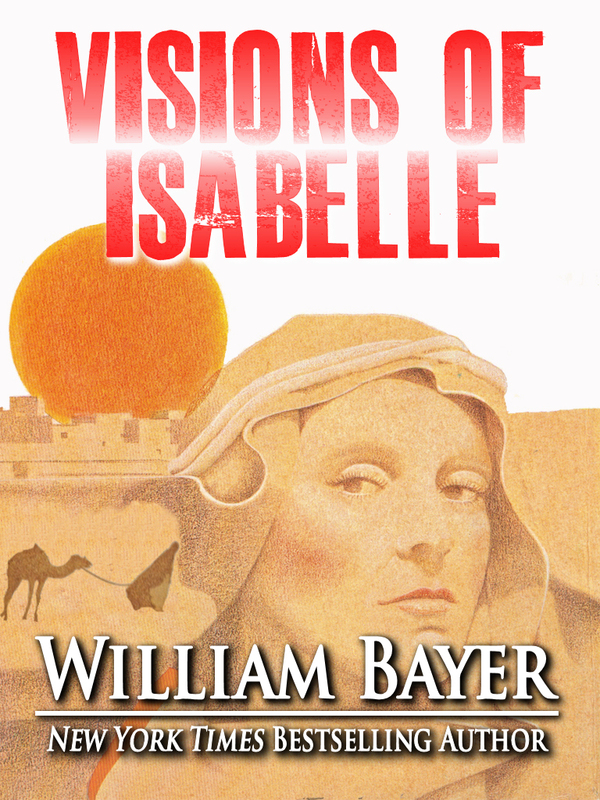 VISIONS OF ISABELLE, a fictional psycho-biography of the turn-of-the-20th-century writer, sensualist and Saharan explorer, Isabelle Eberhardt, is an early novel by William Bayer. Written during his expat years in Tangier, it predates his crime fiction, and is the only historical novel he has written. In 1903, a tall woman with flashing Tartar eyes was the talk of military circles, newspaper offices and salons. Her name was Isabelle Eberhardt, and the life she actually led made her justifiably the object of the most scandalous gossip in Paris as well as in North Africa. This compelling novel, a fictionalized biography, tells her story — the story of a brave, self-destructive and sensual being with an irrepressible rage to live. Isabelle’s goal was to rediscover herself through her excesses, her fears and her joys, so that perhaps one day she might rend the veil which hid from her the secrets of eternity. This fascinating novel about her life proves admirably that the best of Isabelle Eberhardt lay in her energy and determination to dive into the midst of maelstrom and ride out the fury of her existence.